A previous article cited two Russia Today reports. 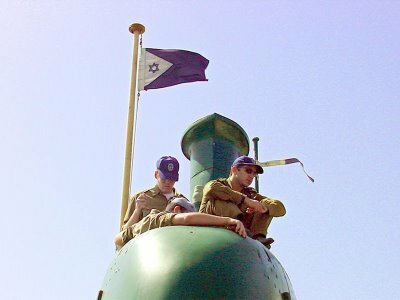 One suggested Israeli Dolphin-class submarines attacked Latakia, Syria. At issue was targeting Russian-made S-300 air defense missile components and/or Yakhont P-800 missiles. The second cited a “reliable source.” Perhaps it’s Russian intelligence. It said Israeli warplanes used Turkish territory to attack. They likely departed Incirlik Air Base. Satellite photos would confirm it. Washington uses Incirlik jointly with Turkey. Unconfirmed reports suggest Israel has warplanes there. Ankara’s a reliable imperial partner. So is Israel. It’s highly likely RT’s report is accurate. It makes sense. Israel struck Syria multiples times before. It did so by air and cross-border ground attacks. Wisely, Assad didn’t retaliate. He’s got lots on its hands to handle. He wants peace, not war. Targeting Israel involves Washington. Perhaps other NATO countries would respond supportively. Doing so assures more trouble than most countries can handle. For sure it exceeds Syria’s capability. Turkish Foreign Minister Ahmet Davutoglu denied reports about Israel using its territory against Syria. RT’s report forced his hand. True or false, he had to respond. He had to deny involvement. Prime Minister Erdogan’s very unpopular. It’s for good reason. He heads a hugely repressive regime. He force-feeds neoliberal harshness. He does so when millions need help. Nationwide protesters want new elections. They want him replaced. He’s playing with fire. If clear evidence shows he let Israel attack a Muslim country from Turkish territory, popular anger might swell enough to oust him. Arab street outrage would be palpable. Israel’s the region’s most hated country. Turkey wants to be a dominant Middle East power. Achieving it requires keeping its own house in order. It requires good relations with other regional states. Erdogan likely took a huge risk. He did so at a very precarious time. Turkish news is carefully filtered. Denials only were reported. Erdogan wants the story buried. Western media said virtually nothing. Israeli officials refused comment. This writer’s previous article suggested perhaps Israel used both one or more submarines and Turkish territory launched air strikes. Doing so enhanced chances for success. Longstanding Israeli/Turkish ties have been largely cooperative. In May 2010, Israeli commandos murdered nine Turkish nationals in cold blood. They were attempting to deliver humanitarian aid to besieged Gazans. Deteriorated relations between both countries followed. Ankara demanded an official apology. It wants fair compensation paid victims’ families. Until March, Israel remained unapologetic. A weak mea culpa followed. It was too little, too late to matter. Erdogan accepted anyway. Compensation issues remain unresolved. Israel would like to use Turkish territory to attack Iran. Will Ankara permit doing so from Incirlik? Perhaps if Israel maintains warplanes there. If it used them against Syria, why not Iran. Turkey may be biting off more than it can chew. Doing so may upset its longstanding plans. Erdogan risks being ousted. On the one hand, he wants good relations with Washington. Police respond violently. Doing so’s counterproductive. It doesn’t restore calm when it’s most needed. Unanswered questions remain. Erdogan’s stonewalling. Allying with Israel against another Muslim state shows his alleged Palestinian support rings hollow. His concern about besieged Gazans is fake. Strategic interests alone matter. Close ties to Washington further them. So does cooperating with Israel. Ousting Assad’s government tops Obama’s regional agenda. Doing so isolates Iran. Attacking Hezbollah may be planned. Turkey’s a NATO country. Membership comes with strings. It requires cooperating with other members. Israel’s a de facto one. It’s a Mediterranean Dialogue partner. Both countries normalized relations months earlier. They let bygones be bygones. Greater issues matter more. What else might they be jointly planning? If anything, Washington’s involved. Perhaps Libya 2.0. Obama wants Assad toppled. He’s not about to quit trying now. Turkey’s America’s lead attack dog. It means using all means at its disposal when asked. Permitting an Israeli attack from its territory seems highly likely. Odds are that’s precisely what happened. Mutual denials ring hollow. They’re commonplace rogue state practice.